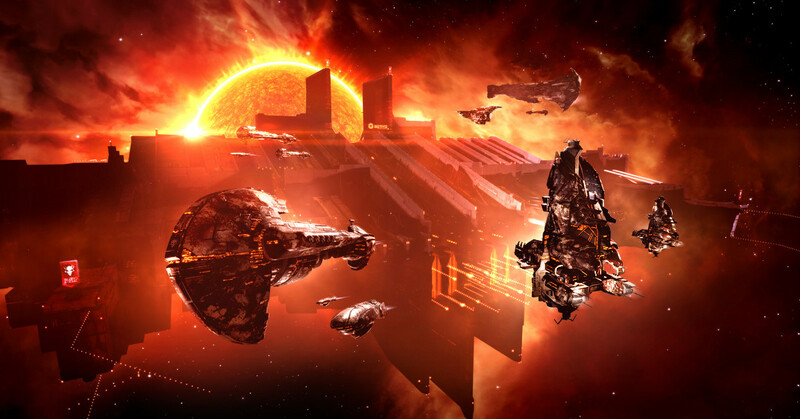 "This week in EVE" is a weekly overview of EVE Online related news and events. It shows what is going on in EVE Online. The focus of this overview is on official news from CCP. The previous overview is here. Orange text links to further information. With May 23, weGÇÖre going to introduce a new type of Skill Injector. This new mini-injector will be one 1/5 of the size of a current injector, bringing Skill Trading into a more reasonable price range on the market for everyone. Color blindness can severely affect the readability of an otherwise great user interface. In EVE, we are going to improve the UI in such a way that color blind people can adjust the color scheme. Check out the beta feature on our test server Singularity! The EVE economy is run by players, incredible huge and very exciting. To provide insight to this fantastic part of EVE, we publish monthly economic reports. The latest one (April 2017) is now available, including raw stats. This report is the first using corrected regional mining and trade data. The raw data is available for you here (6 MB), allowing you to dig deeper into this treasure heap of information. New Eden Turns 14 GÇô Happy Anniversary! On May 6th, 2017, New Eden turned 14 years old: Happy 14th anniversary to all our pilots across the globe! YOU are the heart and soul of New Eden, and only because of your amazing plans and plots, New Eden is the world it is. In celebration of the 14th Anniversary of EVE Online, youGÇÖll find a few things in your redeeming system. These items will be redeemable until the night of May 23rd, so be sure to log in and pick them up in time! The 15th Alliance Tournament will be kicking off on July 29, 2017! During this fantastic tournament, 64 alliances will duke it out in a double elimination format where all matches matter. AT XV will run during 4 weekends. The first two weekends (July 29/30 and August 5/6) will be broadcast by the incredible EVE NT crew, the final two weekends (August 12/13 and August 19/20) will be covered by the legendary EVE TV team. Check out the news item for further details! The Alliance Tournament is not only excitement and incredible fun, there are also sweet prizes to win! Tournament Cup, AT medals, special SKINs, PLEX, and .... AT prize ships! This year, the prize ships are based on the Serpentis faction. Read the full article for details and stats. The 119.5 Release Has Been Successfully Deployed! With the May release, all suns got a glorious redesign. Enjoy stunning new vistas and dynamic lighting from newly overhauled stars that give incredible new effects and reflections. Watch the mesmerizing rippling plasma energy that surges across the surface of stars. Be in awe as massive solar flares burst energy from deep within their burning cores. 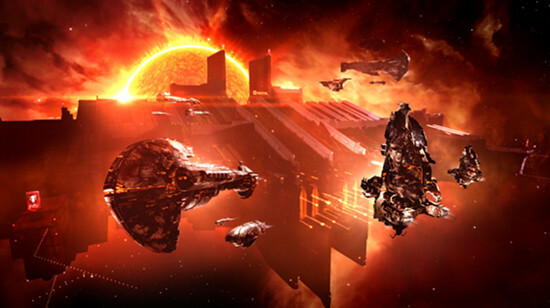 Beautiful EVE Online! CCP Antiquarian gives us a tour of the May 2017 release. Discover the Blood Raider Shipyards and capital vessels, large and reactive AI fleets, new suns, NES gifting and more! EVE Online has a new intro video! In "Birth Of the Capsuleer" you discover how you begin your life as a capsuleer in New Eden, where your destiny amidst hundreds of thousands of others awaits you. Watch how you become one with your ship and embark on a story of industry, exploration and conquest as you weave your legend into the fabric of New Eden. An exciting theme for the new release 119.5 is ready for you. Enjoy, as you listen to The Luminous Eye! Hyasyoda Research Laboratories are special starbase lab structures that provide extra speed bonuses for ME and TE blueprint research. In the upcoming June release we will be adding a new version of the Research Lab service module to replace this structure. Existing Hyasyoda Labs will continue to operate normally in June, but their bonuses are schedule to be removed in August. Thukker Component Assembly Array structures are special faction versions of the Component Assembly Array starbase structures that provide an extremely strong material reduction bonus for constructing capital components and may only be anchored in Lowsec space. In the upcoming June release we plan to introduce a new set of faction rigs for Upwell structures. These rigs will replace the Thukker Component Assembly Arrays. The rigs will provide an improved bonus for material reduction when constructing capital components, and will only provide their strong bonuses when fit to an Upwell structure in Lowsec space. Existing Thukker Component Assembly Arrays will continue to operate normally in June, but their ME bonus is schedule to be removed in August. CCP Antiquarian explains some functionality of the new advanced audio settings. Check out the post for an explanation of each category. Learn more about the various audio sliders/options and their effects! If you have issues with low FPS running more than one client, GM Mechanic has some solutions. Try disabling EVE Voice. Under Windows 10, try disabling Gaming Mode. If you have an integrated video card and an extra video card, make sure that you have the correct card set as rendering card. Check out the post for further info! Also, please note, that we have developed a fix for high FPS + CPU while client is minimized. That fix has been deployed with release 119.6 version 1.3 on May 12. Out of interest, will there be any changes directed at the current meta of farming skillpoints for free?